Arsenal couldn’t even win the Emirates Cup. This year our opponents were much weaker, and they still failed to win it. Two utterly disappointing draws. It’s true that there weren’t too many goals either. The same old story, Arsenal creates countless opportunities but convert only a few. However, once the season starts we know Arsenal will start to convert more. Nobody has ever been in doubt over our attacking threat. Yet, while the defense disappointed us last season, it’s started failing us again this pre-season. If our defense looks weak against the likes of Boca Juniors, New York Red Bulls and Hangzhou Greentown, how do you expect to contest for titles? Arsenal’s priority this year in the transfer market was clearly to go out and reinforce our defense, yet there has just been one defender entering the team. While our first choice LB in Clichy left, Wenger announced that our second choice LB was up for the task. Those who saw the match against NYRB would agree that Kieran Gibbs had no impact on the game whatsoever. A month left in the transfer market, and Wenger will definitely sign a defender. He doesn’t want to name names, but it’s evident he will. 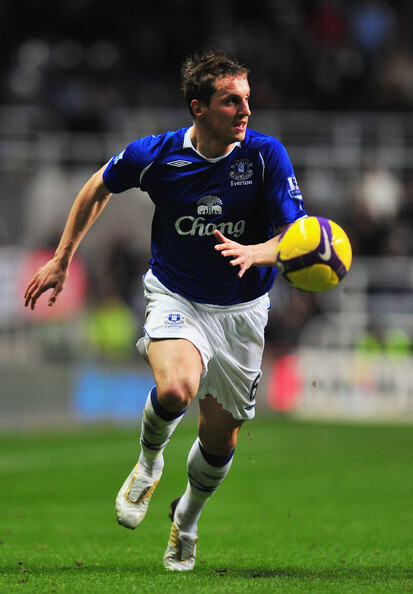 The most likely transfer targets so far have been Phil Jagielka, Gary Cahill and Chris Samba. Will a Jagielka just come in and plug our leaking defense? I certainly hope so. I’m happy atleast Wenger is looking at center backs who are established in the Premier League rather than resorting to ones abroad. If for some reason we don’t see a new defensive signing, or if it’s just a young defender like Carl Jenkinson, all hopes for the coming season are gone. Just a couple of injuries in the backline, and our season would be instantly over. The only thing we can hope for then is that we don’t turn into a Liverpool. I didn’t know much about Santi Cazorla before his name appearing on the Arsenal radar this week. He often comes off the bench for Spain, but we all know the supreme quality of even the Spanish reserves. The reason his name is even appearing on the Arsenal rumor mill is clear – Wenger is preparing for Fabregas’s departure. As Mata and Hazard seem less to likely to come to Arsenal day by day, Wenger is looking for the other options. Villareal’s Cazorla is strongly linked to a move to Malaga (the new Man City of the Spanish Primera), and his availability has sparked interest from elite clubs everywhere. However, is he worth his 20m valuation? Or more importantly, does he suit the Arsenal bill? He looks to be the ultimate playmaker. Although a bit on the short side (height wise), he always creates his own space all over the field, and more importantly looking for the ball to come to him. Passing is exquisite, whether short or long balls. He does have the tendency to take some rash shots from distance, but his goal scoring record for Spain and at club level is decent. Take note that he’s quite fast too, so blending into the already fast-paced Arsenal side shouldn’t be a problem. In the scenario that either Fabregas or Nasri leave, Cazorla could be the ideal signing for Wenger. Hopefully Malaga doesn’t snap him up quickly, and then Arsenal could race for his signature over the next couple of weeks. ”We are traveling [toCologne] with 23 players and 3 goalkeepers. We have a big squad already”. These are the latest comments from our Boss, Arsene Wenger. Anyone else feel there’s something seriously faulty about those remarks? First of all, was our squad good enough to win the league last season? I am talking about the whole squad, not just the first 11. The answer to that question is clearly a ‘NO’. So basically if we have players leaving that squad and they are not replaced, will that strengthen or weaken the squad? It will weaken it. So far, to improve our squad we have bought Carl Jenkinson and Gervinho. If you think about it, the signing of Carl Jenkinson probably did improve our squad but it did not really correct anything that was wrong with it. Jenkinson is a rightback and as far as I know, our critical problems last season were NOT in that particular position. To be fairly honest, I have no problem with the Sagna/Eboue combo at right back. Point being, although I welcome the signing of this youngster, I feel that he did not really fix any of the problems with our squad. He is just a ‘good addition’. 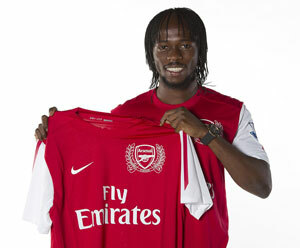 Gervinho signing for us is different. From what I know, Gervinho is a winger and we did lack width last season. So if Gervinho is a proper winger (we will probably find out today vs FC Cologne), then he will improve and correct some of the problems in the squad. Apparently Gervinho can play as a striker too, so he can possibly fill the void if RVP and/or Chamakh are absent. Now, IF everything remains the same and we do sign a new defender (as Wenger suggests above), then I would say we have a decent squad for next season. But it’s not all that simple is it? So basically, FIVE players are guaranteed to be out of our squad next season. And although Arsenal fans are tearing up their hair with anxiety and fear, Wenger is ‘already happy’ with the situation! He mentions that we have a huge squad already. Ok, but isn’t this pretty much the same squad as last season? Using just logic, nay, common sense, even a retarded person can point out the flaw in Wenger’s comments. Is he trying to say that the squad, which is the same as last season, has improved so much that he does not need any new additions? Is that even possible? It’s been just around 3 months since the season ended. In just three months, how much could a player have possibly improved?! Players like Diaby, Rosicky and RVP will probably be out for long periods during next season as it has been for last few seasons. There will surely be other unpredictable casualties like that of Vermaelen last season. If you deduct five players from that squad, then surely it is something to be alarmed about. As a wise man once said ‘Always prepare for the worst’, we should too, especially after seven years of failure. But so far, all that I see is faulty optimism. Wenger is gambling at a time when the stakes are higher than ever. All I can do is just close my eyes and hope it somehow pays off. Our super star striker, Zlatan Ibrahimovic wannabe is finally heading to a graceful Arsenal exit. I’ve been so surprised over the last one year of his continued insistence of trying to leave Arsenal. His main justification was that Wenger was sidelining him from the Arsenal first time when he feels he is ‘ready’. You’re ready Nicklas, nobody doubts that. That’s why you were Wenger’s first choice striker in the Champions League a couple of seasons back. When Van Persie had been sidelined through injury and Bendtner was available, he was playing. Sadly enough, Bendtner couldn’t live up to his own standards last season and Marouane Chamakh took his spot. Still he continuously got chances, and except for a few quality finishes, he continuously failed. So I hope he doesn’t blame Wenger, because he did get plenty of opportunities. In fact, a lot more than even the fans wanted. It’s his ego that is always questionable. On many instances he said that he has the potential to be the world’s greatest striker, and compared himself to the likes of Zlatan Ibrahimovic (who knows why Ibrahimovic is his benchmark in the first place?). It’s not joke to be of the class of Zlatan. No doubt there was a lot of hype around him. Steve Bruce picked up his potential pretty quickly in his loan spell to Birmingham City. Still, you can’t just go to the press and make over-confident statements like that. Prove your quality on the field first, and others will judge potential and ability. I’m sure he expected ‘top clubs’ all over the world to come knocking after finding out his transfer availability, but that didn’t happen. Hopefully that has brought him back to earth. Either way I wish him the best of luck wherever he goes. He’s still young, so maybe he will be a top world-class striker one day. If only he was a bit more patient, he could have been an Arsenal favourite.